This isn't your typical slightly treacherous treehouse with a tire swing. 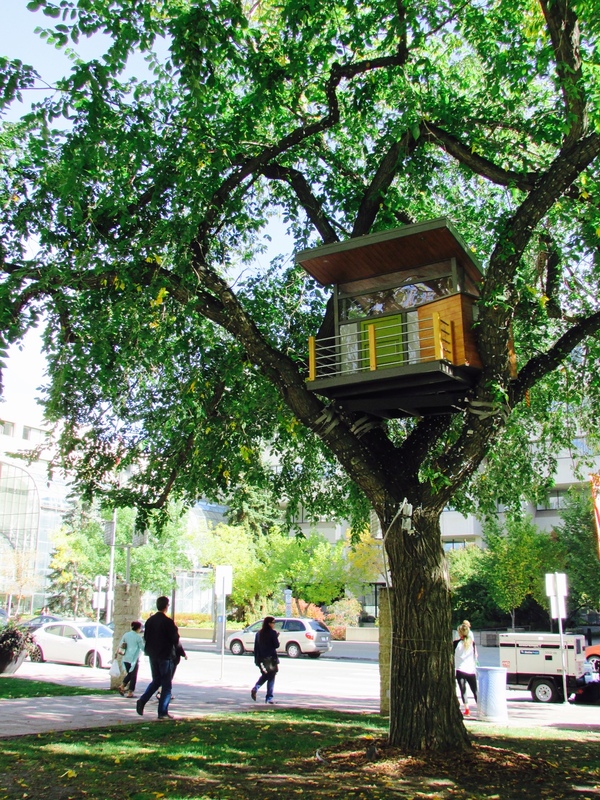 No, the treehouses that have been installed in Edmonton, Alberta's Churchill Square (there are three total) are miniatures of actual houses that can be found in the city — high end materials, modern design and all! According to the Edmonton Art's Council who funded the project, it "superimposes private and intimate suburban spaces upon the urban environment and shared public space" (aka there are really cool looking mini houses in trees in the middle of downtown that are perfect for Instagram-ing!). Throughout the day, domestic sounds come from the small buildings and, at night, there are lights that emit from the windows. Overall, a pretty darn cool piece of public art!